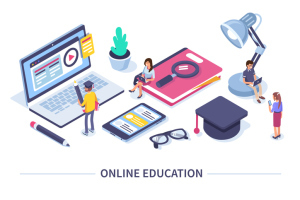 Increasingly, education is moving online. 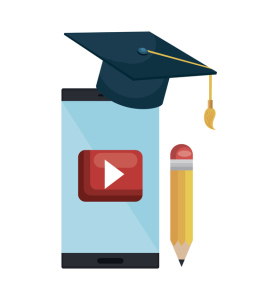 One survey found that 88 percent of universities have reason to believe that video increases student achievement levels. 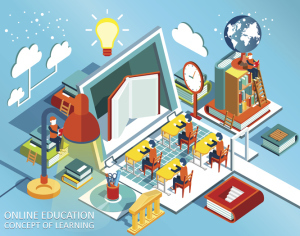 Primary schools and life-long-learning enterprises are also increasingly offering video e-learning resources via cooperation with a streaming video solution. With this rise in video for learning come a variety of challenges. For example, how do you effectively record video lectures and seminars? Another issue–how can you distribute video among your students? We’ve addressed these issues in other blog posts (click the links above to read them). This post, however, will focus on a specific issue: organizing material inside video content using chapter markers. This may seem like a side issue to consider. Yet when you’re dealing with dozens of hours of content, it’s critical to keep it well organized—for your sake, and the sake of your students. Now, here’s a closer look at chapter markers and how they work. The concept for chapter markers is simple. All streaming video players feature a seek bar at the bottom of the video player. When you’re visiting a website and watching a video, you can use this seek bar to navigate around in the video. If you’re using a steaming video solution that supports them, chapter markers extend the functionality of this seek bar. 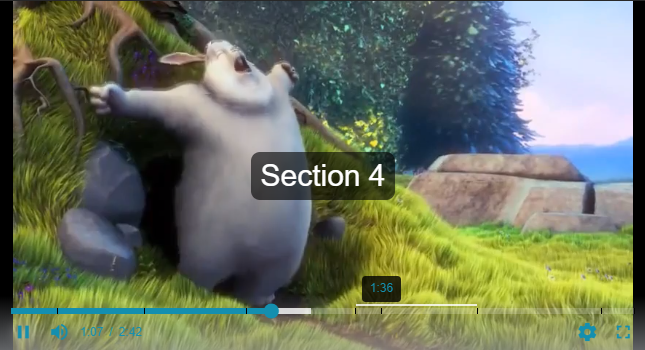 Chapter markers allow you to annotate the seek bar to designate given portions of the video. Typically, a small, easily distinguishable break in the seek bar, or a menu in the video player, designate chapter markers. When you mouse over one of these locations, you will see the name—whatever annotation has been chosen—for the section of the video that follows that marker. It’s a simple feature, and it can be absolutely critical for education. Why are chapter markers valuable for educators? One of the most valuable features of the printed book is the ability to easily navigate between different sections of content. A book usually contains, for example, a table of contents. Material is often divided into chapters. You can insert bookmarks, takes notes in the margins, or put in color-coded sticky notes. This makes it incredibly easy and fast to find any content in the entire book. Despite the growing ubiquity of ebooks, this functionality of printed books has never been equaled in the digital world. According to one survey from late summer 2017, about half of educational organizations using video integrate some sort of “chapter” feature to make video content easier to digest. Have you ever needed to find a specific quote or short segment in a video that was 90 minutes long? Usually, you have to seek back and forth. It takes a long time… and unless you have a perfect memory, you may end up just having to re-watch the whole video to find that one quote. It can be pretty maddening. Chapter markers help alleviate this issue by making it easy to divide videos into discrete segments. This makes video e-learning much, much more feasible. It also saves students a lot of time and headaches. All it requires is a streaming video solution that supports chapter markers and a teacher who is willing to take a few minutes to set them up. 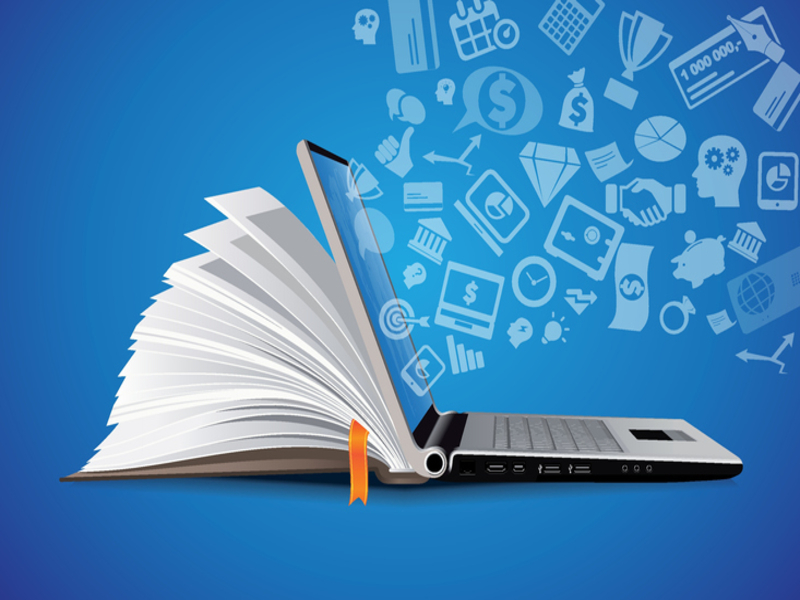 Building a learning portal: does your streaming video solution offer chapter markers? In the past, we’ve written a lot about different streaming services for education and online learning. With so many options, it can be challenging to choose a streaming video solution. In addition to support for chapter markers, there are a few other features that are important for educational institutions here. These include monetization, white label custom branding, security, and video API access (which allows you to integrate with other platforms and your LMS). And of course, cost is always a factor. Ideally, educators want to look for a video streaming platform that supports all of these features. Even if you’re not using all of them today, having the option available gives you the ability to expand. These tools are all critical for building a modern, professional e-learning portal, so you better make sure you have access to them! With this is mind, let’s take a brief look at using DaCast for streaming live video to your students. Our online video platform uses the top-tier Akamai Content Distribution Network (CDN) to deliver all video streams. It also provides a solid range of features for educational users. Chapter markers are included for all DaCast broadcaster at ALL plan levels, starting $19 per month. Users can easily configure markers and tye them to a single frame for pre-vision. White label option – All the video content hosted on DaCast white label and branding can be fully customized. Security features – The platform includes tools to restrict access based on IP address/country of origin, website, with a password, etc. Several other tools are included. API access – Full programmatic access to the DaCast streaming video solution is included starting at the $125/month “Premium” plan. With these range of features, DaCast is a great platform for individual educators and schools to get e-learning content up and running fast. Chapter markers only work properly if you’re using DaCast’s new video player. If you’re still using an old player, or using a custom video player, this functionality won’t work correctly. To add chapter markers to a video on your DaCast streaming video solution, you first sign into your DaCast account. Then, click the “Video On Demand” link in the left-hand menu. This will show you a list of your VOD files. Click on the video to which you want to add chapter markers. Step 1: Click play on your video, then pause the video whenever you want to add your first chapter marker. Alternatively, use the seek bar to find the location. Step 2: Use the “Previous Frame” and “Next Frame” buttons to find the precise location you wish to drop the chapter marker. It’s a nice professional touch to be exact here. Step 4: Click on the “Title” box that now appears, and type in the text you wish to appear for this chapter marker. For example, a chemistry lesson may include a chapter on “Covalent Bonds.” You can also modify the time here if you wish. Make sure to click save. Step 5: Repeat steps 1-4 for each chapter marker you wish to add, and for each video you wish to add chapter markers to. A dedicated tutorial with bigger screenshots and more details are available here. As you can see, there are major differences between the various streaming video solution providers. With chapter markers and other features, some are more suitable for educational use than others. Pricing also varies dramatically. If you’re looking for a feature-rich, cost-competitive platform, we recommend you take a long look at DaCast’s streaming video solution. In fact, we offer a 30-day free trial (no credit card required) to help you test out the platform, and see if it will work for you. Do you have further questions, or comments? We’d love to hear from you in the comment section below. For regular live streaming tips and exclusive offers, you can join the DaCast LinkedIn group. Good luck with your e-learning!